Fabric Mart Fabricistas: Made by a Fabricista: One Pattern, THREE different VIEWS! Made by a Fabricista: One Pattern, THREE different VIEWS! 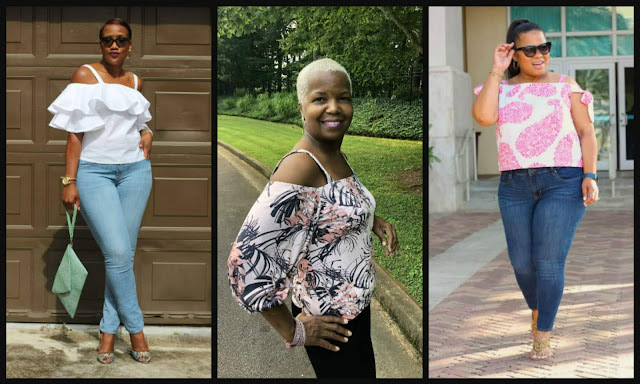 I am so excited to share my July make along with two other amazing sew sisters that I met via social media. After winning last year's Fabric Mart challenge, I have connected with so many awesome ladies in the sewing community! Honestly, over the last ten months, I have learned so much from my sewing community of friends who have always shown much love and support. I am grateful for this platform and opportunity with Fabric Mart, where I am able to share my monthly makes and be committed to a hobby that I truly enjoy. Carla (middle) and Johanna (right) are two amazing ladies that I can always count on for sewing advice. 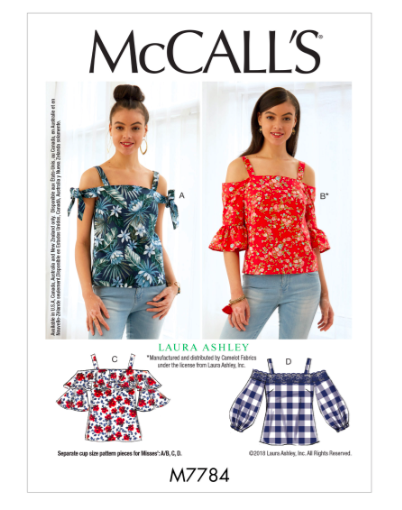 I fell in love with this McCall's summer pattern M7784 as I wanted to make a flutter top without an elastic band around the shoulder VIEW C using a crisp white cotton/polyester/lycra shirting here. Love the flutter! USED bias tape hem for the finish. I love classic and timeless pieces and this crisp shirting fabric was perfect for the shirt I envisioned. The soft feeling against my skin is to die for and I fell in love even more after washing the fabric and knew it was perfect for the top. I shared the pattern via Instagram (insta-story) and quickly my sew friend Johanna messaged me as she had plans to create one of the views this summer. I then reached out to my other sew friend Carla (Nikki) and she was ready to join in on our first official collaboration. We chose our view, selected our fabric from Fabric Mart and went to work. I met Johanna on Instagram and she lives only 30 minutes away. I am always happy to practice my photography skills and shoot her makes when time permits. She offers great sewing tips and tricks from her experience doing pattern test and reviews. 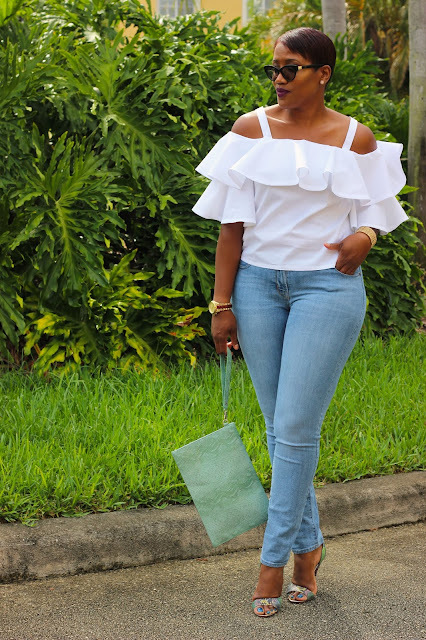 Johanna fell in love with View A and chose a crinkle seersucker shirting fabric. Unfortunately, it is sold out but here is another option that is perfect for this view. Her second fabric choice for this view is also here. Johanna lined her fabric using the Muslin that she made. MODIFICATION: Remove the keyhole as it was not necessary with this style. Be sure to stop by Johanna's blog to see more beautiful photos of her top with construction tips for her view! 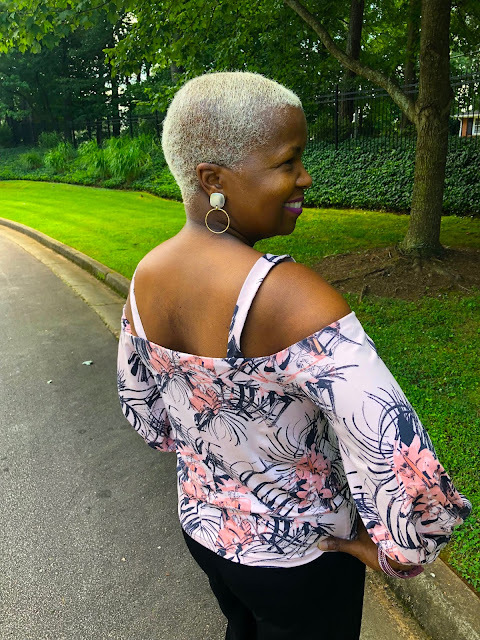 Carla (Nikki) chose to create View D with a designer knit (rayon/lycra) fabric that drapes so perfect from Fabricmart here. Carla shared a few construction TIPS with us as she was the first one to sew her view the minute she received her fabric. 1. When working with knit or any fabric with stretch, the keyhole may NOT be necessary if the top slides easily over your head. After trying it, Carla decided to close it up which gave it a cleaner finish in the back. I opted to keep mine open but plan to close it as the hook kept on opening while shooting. 2. 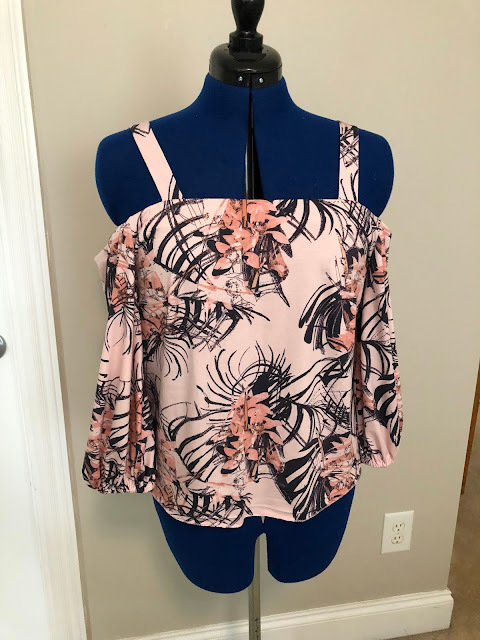 Since this pattern has a shoulder facing all around, the instructions did NOT state to understitch and a beginner may not know. It is important to understitch so that the facing lays flat inside the garment. 3. Interfacing can be tricky with knit and Carla also suggested instead of cutting strips of interface for each section of the shoulder facing (5 individual pieces for this pattern), you should stitch all the facing pieces together and then cut 1 long strip of interface if possible for a more sturdy fit. Sometimes the facing will stretch slightly while working with each individual pieces if interfaced separately. Be sure to check out Carla's, blog for more detail photos of the construction. I am always happy to reach out to her for any sewing tips or advice when starting a project that I may have a challenge with. She is a passionate part-time sewing instructor and is always willing to help. Thank you so much for reading! I truly had fun collaborating with both Johanna and Carla this month. Also, have you participated in the Fabric Mart photo a day challenge? Be sure to post your photo for today! 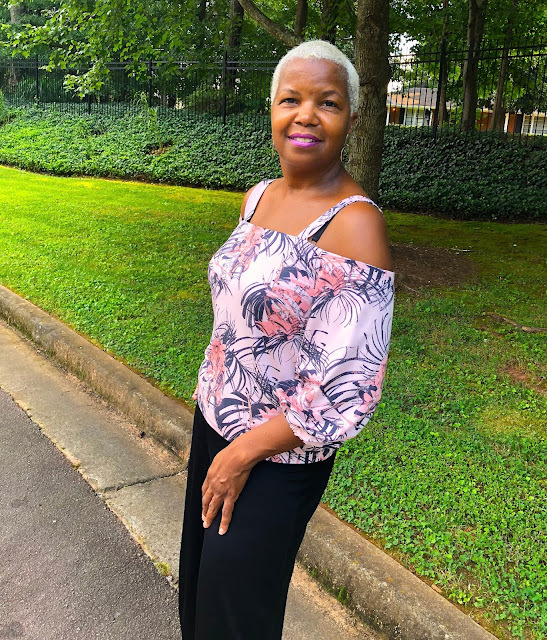 On a final note, I have been sewing consistently this summer so be sure to stop by my personal BLOG and check out my latest make. Wow! You all look great- I love each and every version! I will have to try out this pattern now! Awww Thanks Ann! Go for it! Love! Love! Love them all! Inspiring and gorgeous!!!!!! All 3 of those tops are so gorgeous! Love all the versions. What a fun way to see different views made up by each sewist. That way you don’t have to sew each version and the tips from one to another must have been very helpful. Thanks for sharing from you and your new friends. Sounds like you are having a great summer. Awww thanks. Yes we all learn together and share tips as well. I love the collab! All three of your tops are amazing. I didn't even give this pattern a second glance but your crisp white version is really speaking to me! Go give it a try!!! It will be worth it when it's done.